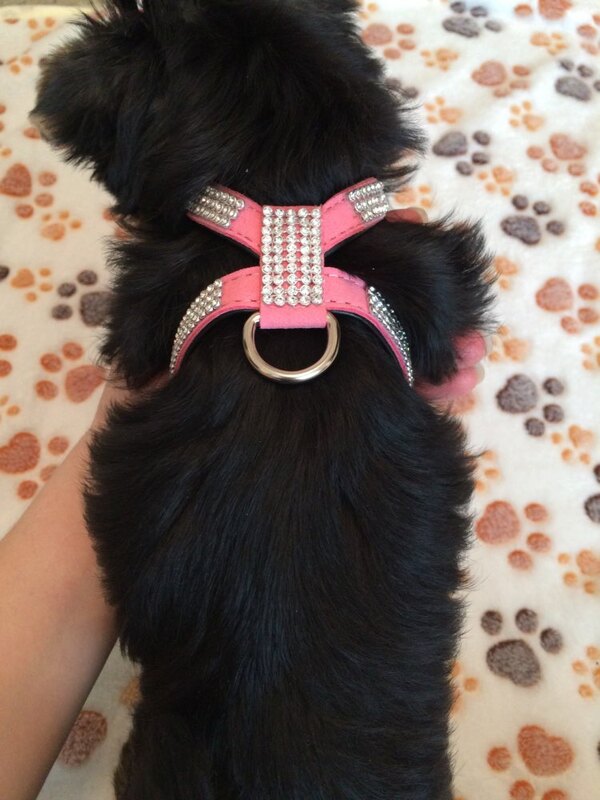 Add a little sparkle to your walks with the Rhinestone Dog Harness. Made to gently discourage your dog from pulling on the leash, this fun design is constructed with crystals and vegan leather for a stylish but purposeful fit. 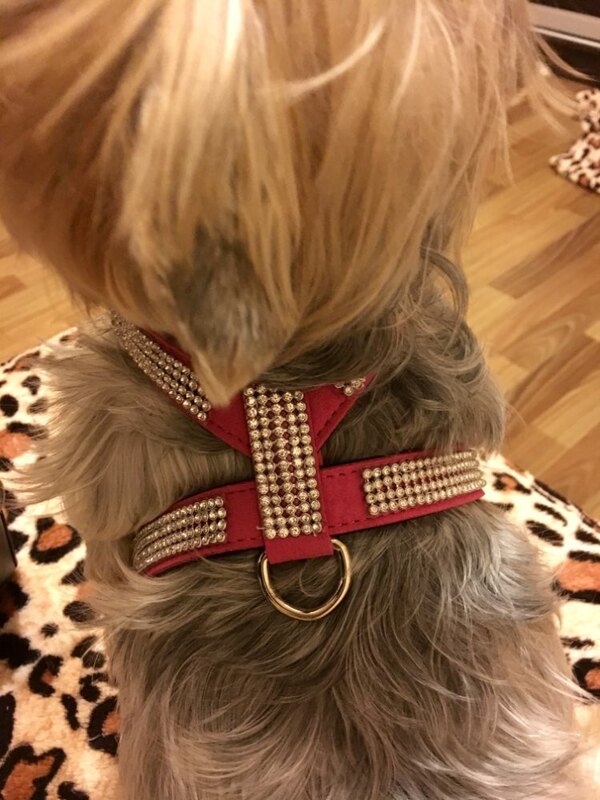 Comfortable to wear, this harness makes walking enjoyable for both you and your pup, and is sure to turn heads as people notice the beautiful bling colors. 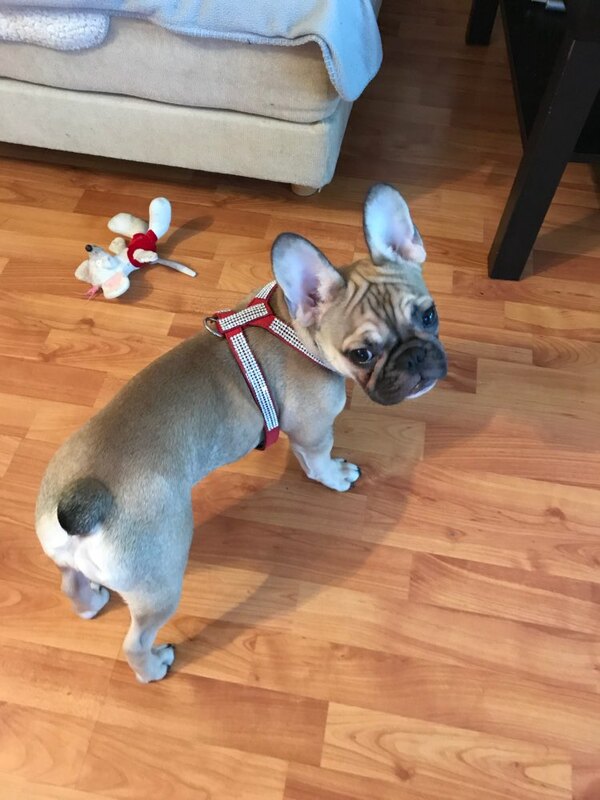 The front-chest leash attachment helps you to steer your pup and redirect his attention, keeping him on track and trainable for comfortable and effortless walks. Chic. 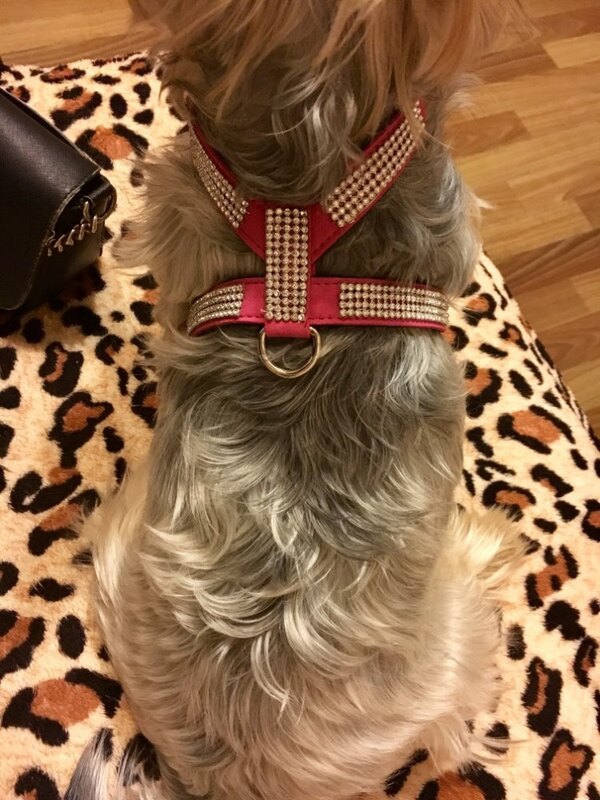 Fun, eye-catching sparkly material makes this harness beautiful and fashionable. Trains your dog. Great for training dogs to walk nicely on a leash by discouraging pulling and allowing for easy steering. Designed to stop the hardest pullers humanely without any choking. This product is perfect for those stubborn pups and will help you stay in charge during walks. Uniquely devised to provide ultimate comfort for your dog while not sacrificing any handle on control. Adjustable. Five adjustment points provide maximum comfort and a reliable fit on any dog. Durable. Only made with the highest quality vegan leather this product will stand against the test of time. Perfect for all weather conditions!